40 Breweries are featured this year including our 3 local brewers, Hall, Elk Mountain and Barnett & Son. VIP: $55 (Limited Quantity) Rain Sold Out! This event is brought to you by the CCV Rotary Club of Parker and all proceeds go to support charities both locally and abroad. If you have been to the new library you will have seen the recording studio free for everyone to use. Other local projects include the Parker Task Force, Project Cure, Douglas County Support Center, Peaceful School, and many others. 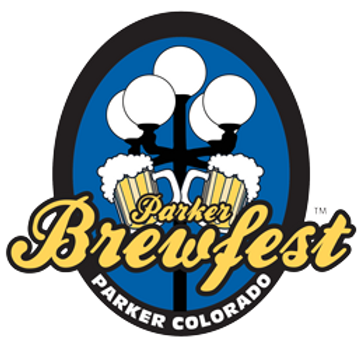 The 4th Annual Boulder Craft Beer Festival brings together the best craft breweries from Boulder County and beyond for a tasting festival, offering attendees samples of Boulder’s best beer. The festival includes live music and food for purchase. This is a ticketed event for those 21 years of age and older. Photos from the 2016 event may be viewed here. Fort Collins, Colo. Aug. 17, 2017 – World-class acts, top-notch beer and philanthropic fun – get ready because “Fat Tire presents the Tour de Fat” from New Belgium Brewing is coming to Boulder on Friday, August 25. This year’s tour is the biggest and boldest yet, traveling to 33 cities. Alternative rock bands Capital Cities and Wilderado will play the Boulder stop. Tour de Fat revelers are encouraged to wear costumes and everyone 21 and older will be able to enjoy some of New Belgium’s year-round line-up including the American craft beer icon Fat Tire, Voodoo Ranger IPA and Citradelic Tangerine IPA. Since 2000, Tour de Fat has raised close to $5 million for non-profit partners and hopes to generate more than $600,000 in support of local causes this year. The Boulder stop will benefit Community Cycles, an organization focused on promoting, educating, and advocating for the safe use of bicycles for transportation. “Community Cycles has had a long, wonderful relationship with New Belgium through five years of partnering on the Clips Film and Beer Tour. This year, we are excited about New Belgium’s expansion of Tour de Fat and looking forward to welcoming this event to Boulder. As the local partners and beneficiaries, New Belgium’s events help us accomplish our mission of recycling over 3,000 bicycles a year, teaching bike safety and repair, getting thousands on low cost and non cost bicycles, and advocating for safe place to walk and ride,” said Sue Prant, executive director of Community Cycles. 7:40 p.m. – Fashion Show: Great costumes deserve great admiration. The fashion show is open to all who want to show off their Tour de Fat costume on the catwalk. 9:20 p.m. – Dance Contest: Here’s your chance to strut your stuff. The winner walks away with a New Belgium cruiser bike! The mission of Community Cycles is to promote, educate, and advocate for the safe use of bicycles for transportation — bikes are sustainable, affordable, and fun! Community Cycles’ bike shop offers refurbished bikes for sale, and is a welcoming community and educational center for bike care and repair. Community Cycles seeks to create equitable access to bicycles for everyone in our community. Beyond the shop, the organization unites the community around biking, advances the cyclists’ agenda at the level of planning and policy, and works to make a better Boulder for people who ride bicycles. For more information about the Tour de Fat Boulder stop or to purchase tickets, visit newbelgium.com/events/tour-de-fat/city/boulder. New Belgium Brewing, makers of Fat Tire Belgian Style Ale and a host of Belgian-inspired beers, is recognized as one of Outside Magazine’s Best Places to Work and one of the Wall Street Journal’s Best Small Businesses. The 100% employee-owned brewery is a Platinum-level Bicycle Friendly Business as designated by the League of American Bicyclists, and one of World Blu’s most democratic U.S. businesses, and a Certified B Corp. In addition to Fat Tire Belgian Style Ale, New Belgium brews thirteen year-round beers; Citradelic Tangerine IPA, Citradelic Lime Ale, Fat Tire Belgian White, Voodoo Ranger IPA, Voodoo Ranger Imperial IPA, Voodoo Ranger 8 Hop Pale Ale, Dayblazer Easygoing Ale, Tartastic Lemon Ginger Ale, 1554 Black Ale, Bohemian Pilsner, Abbey Belgian Ale, Trippel and a gluten-reduced beer, Glutiny Pale Ale. The Summer Brew Fest at Mile High Station will celebrate craft beverages from around Colorado and other U.S. microbrews and feature; live local music, food, and other vendors. This event benefits Swallow Hill Music Association. 6-7 pm VIP Power Hour! Day of tickets available online until 4:00pm. Cash only at door.